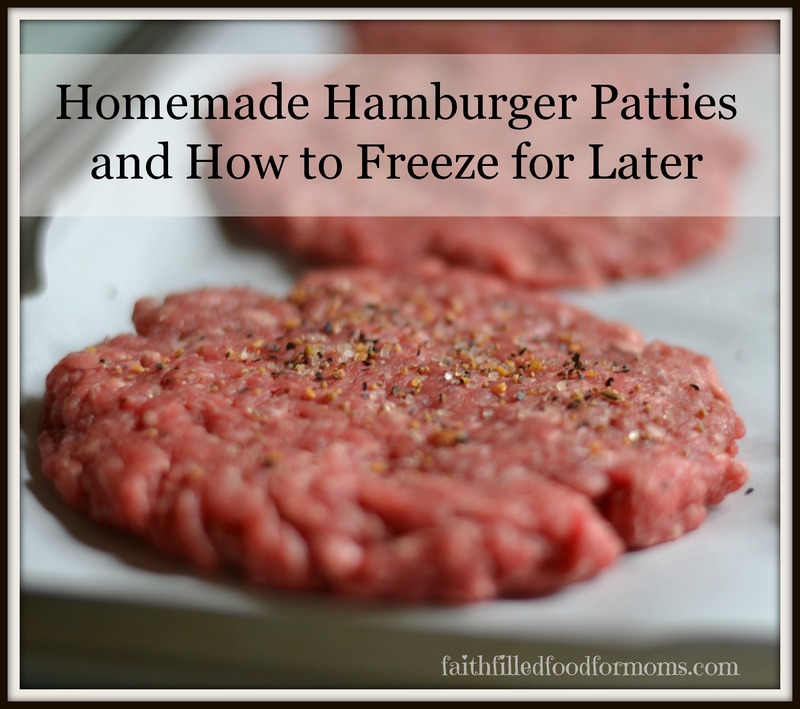 I’ve been asked more than a couple of times how I go about making mass quantities of homemade hamburger patties and freezing them..ever since I created the post Cooking Your Burgers in the Oven. 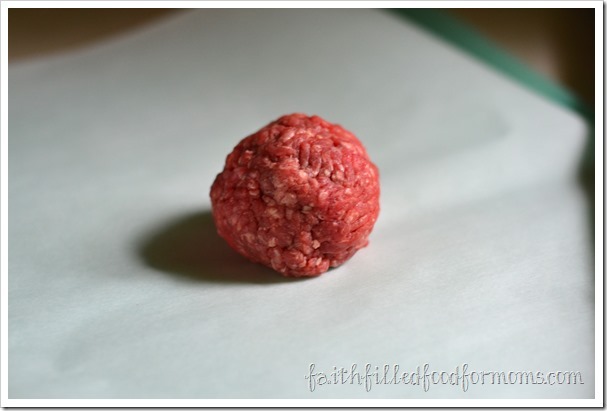 So I thought it would be fun to do this super easy little tutorial and show you just how I go about making homemade hamburger patties and how to freeze for later! 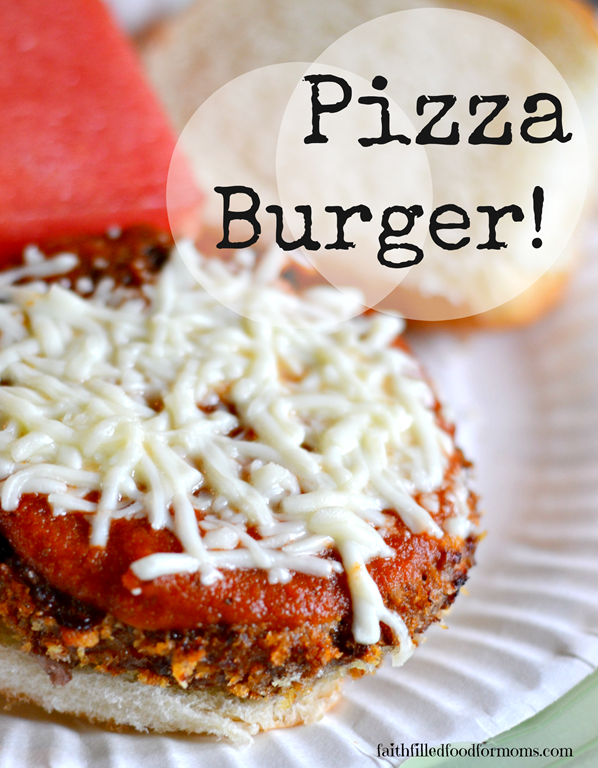 I buy my hamburger in bulk, so I save TONS of money and I save a TON of time! I can make a very large batch that will last a long time! Seasonings that you and your families likes ~ I like to use Chicago Steak Seasoning…YUM! 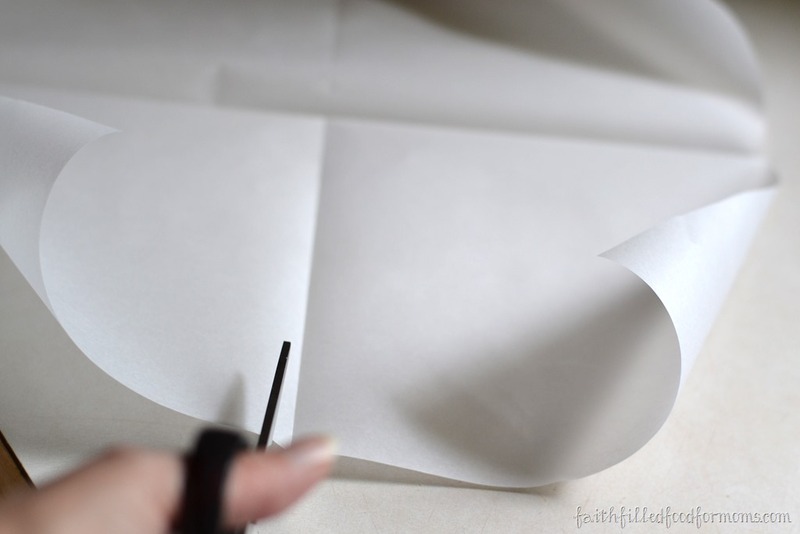 Parchment Paper ~ you can buy the already cut and sized papers or a roll and cut it up as I did below (Do whats BEST FOR YOU!). 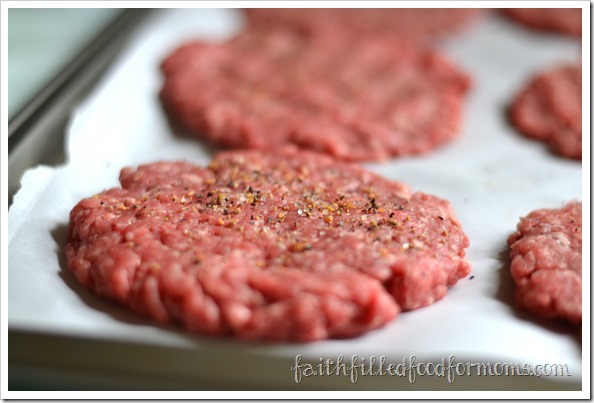 It is best to make Hamburger Patties with a little fat in them, hence the 85/15 ground beef. 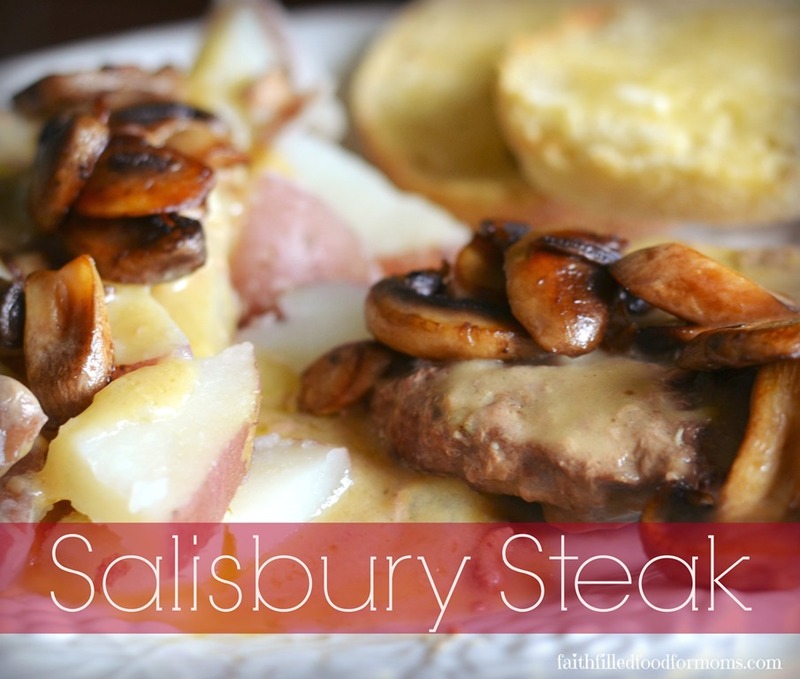 This will bind your burger together and gives it more flavor. I really have to remind myself this because we rarely eat high fat meats anymore. Of course if you really must use the leanest meat you can find..that’s ok too. 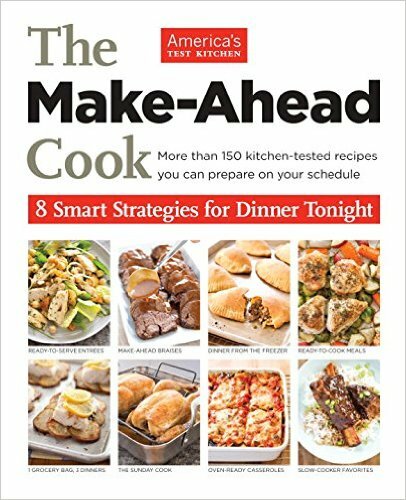 It just may fall apart a little easier during cooking. Ok so here we go…. 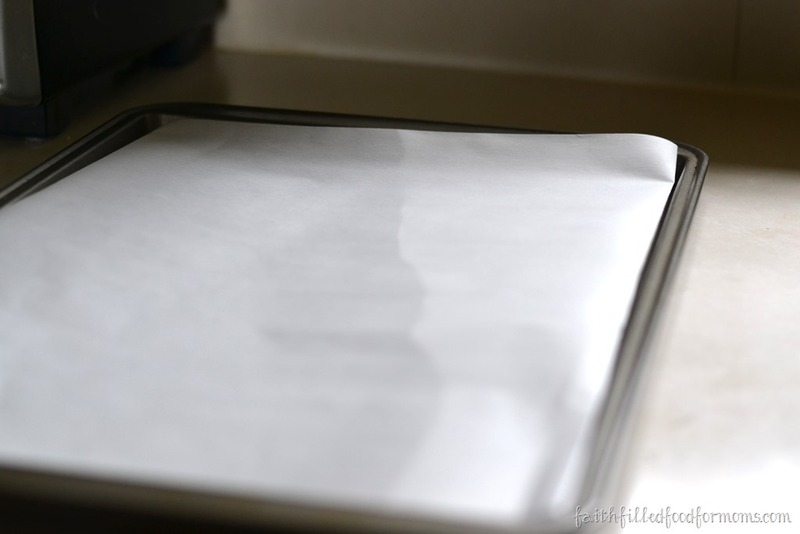 Put Parchment Paper down on cookie sheet to line it. 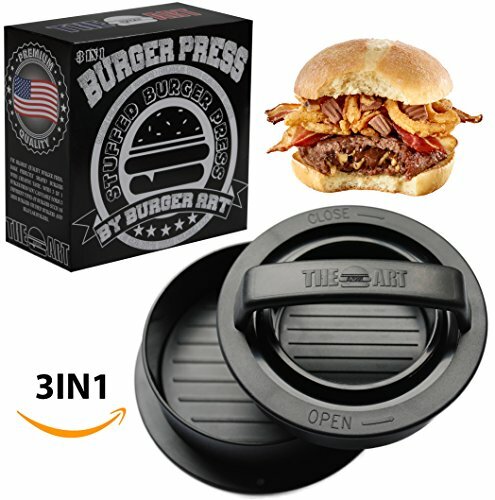 This makes for easy clean up and keeps the frozen burgers from sticking when you flash freeze. 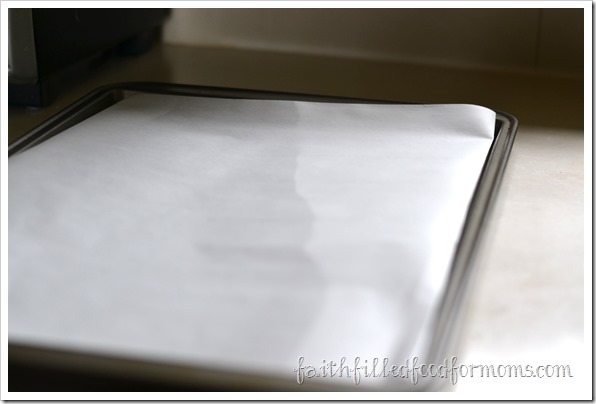 I also place Parchment Paper onto the counter or cutting board for easy clean up. 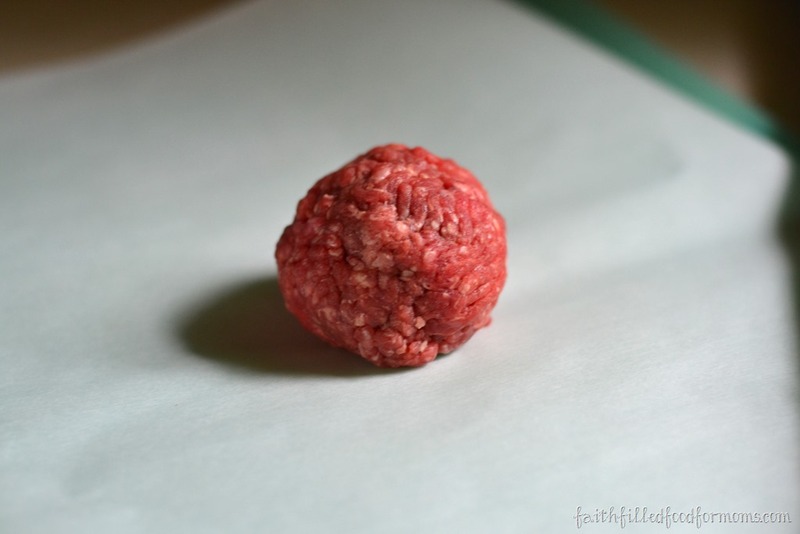 Grab up a handful of Hamburger and form into a ball. 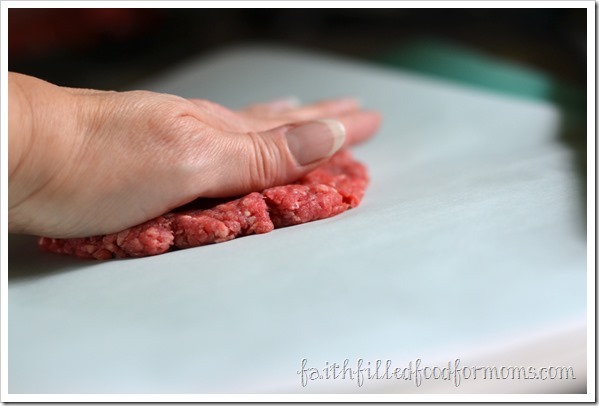 Now flatten to make your Hamburger Patties. I have friends that get sick to their stomach if they even look at raw meat! 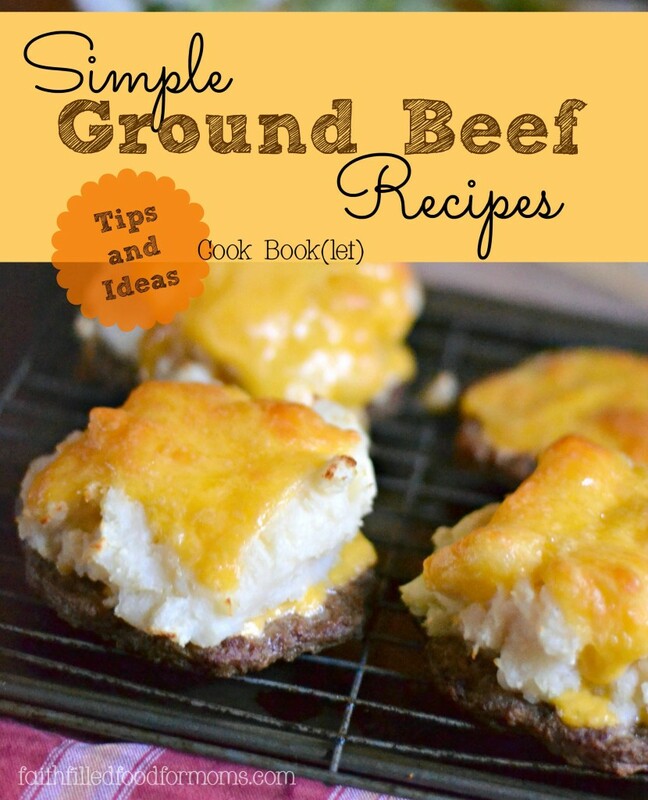 If you absolutely can’t stand to touch raw hamburger meat…no problem! Get one of these handy burger patty makers. They will also make your burgers very uniform in size! 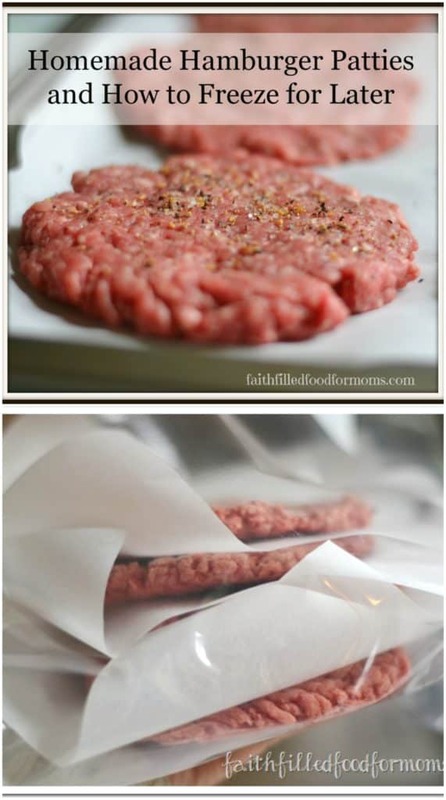 Now place your burgers onto the Parchment Paper lined cookie sheet. 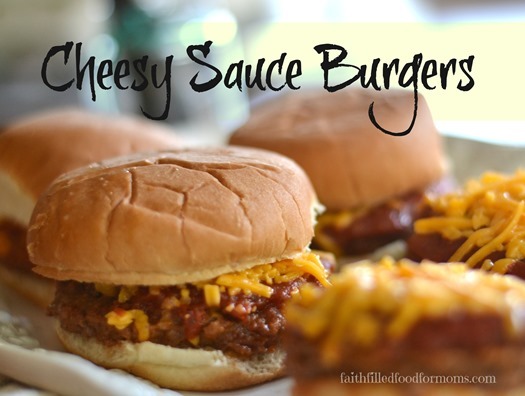 I like to season before freezing because as the burgers thaw before you start cooking..it kind of marinates them! 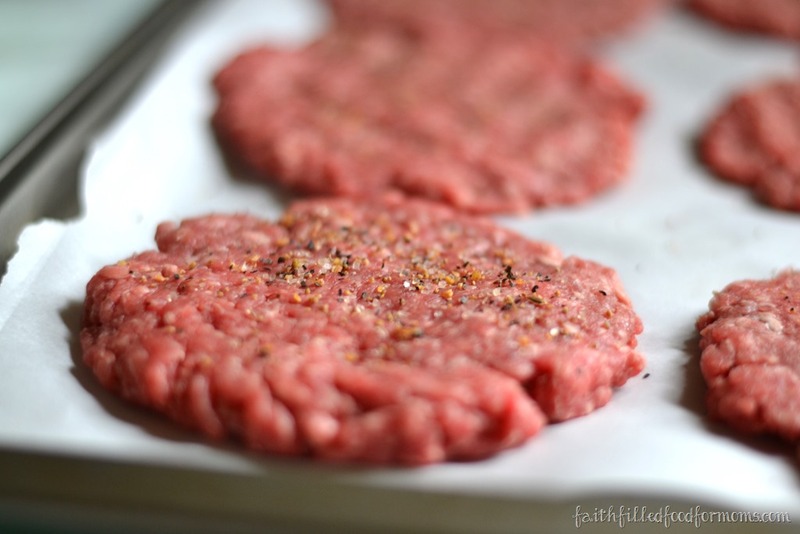 Place your burgers on cookie sheet into the freezer for about 1 to 2 hours. There is no need to cover. This is known as flash freezing. It keeps your burgers as individual and from sticking together. 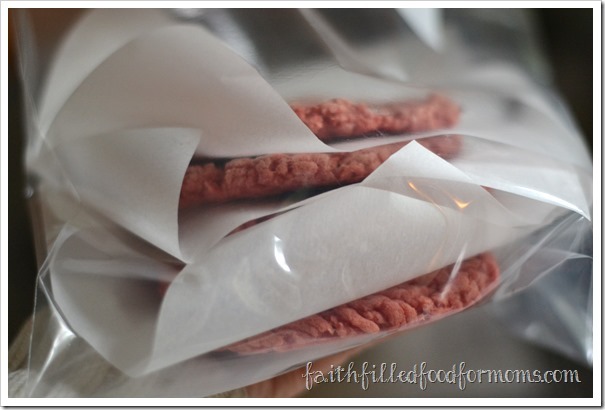 While the burgers are in the freezer, take a minute to cut up some of that Parchment Paper into squares ( you can also buy these already cut into squares to save time and energy) You will put these in between the hamburgers just like the store bought ones..this assures that they don’t stick together a bit! 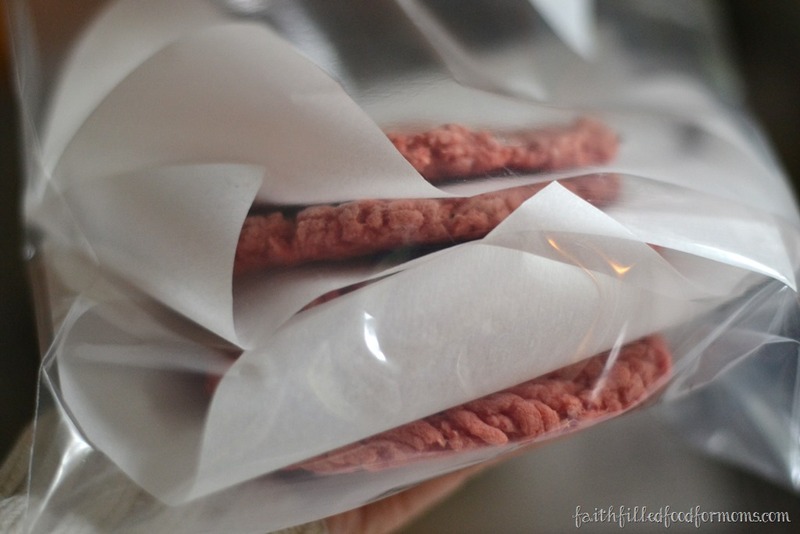 Get your burgers out of the freezer and stack them up with Paper in between. Then put them into freezer bags! And that my friends is all there is to making homemade hamburger patties and how to freeze for later. This can save you tons of bucks with just a minimum of effort. Next time you go to the store..check out the prices between the burgers that are already made and making your own. If you have never tried buying in bulk, Zaycon’s is an amazing and affordable way to buy your meat in bulk! Hormone Free too! (that was a referral link..I get $1 for everyone that orders from them…at no cost to you of course) I have been ordering from them since they started out…excellent meat! 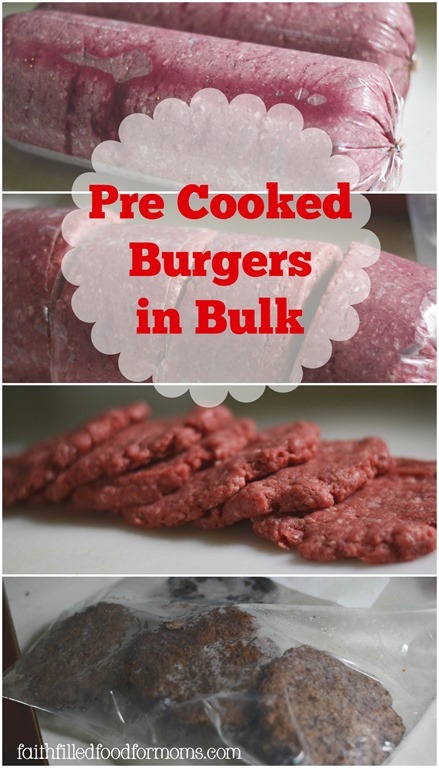 Did you know you can also PRECook some of your burgers too and then freeze them! Oooh anything to make life easier! 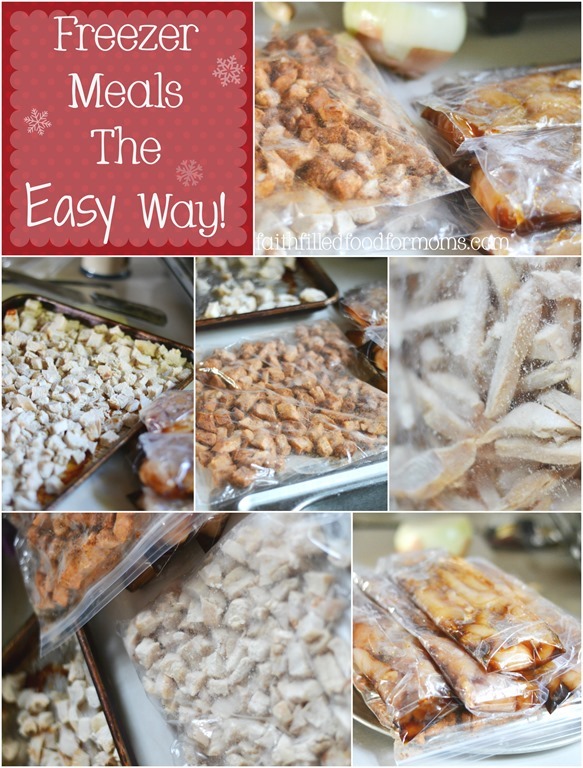 If you are interested in doing Freezer cooking you can hop on over to the Easy Freezer Meal Ideas and Recipes page and find tons more recipes! The price of ground beef recently raised quite a bit in my area. I definitely need to start buying in bulk. Love the new look of your site, Shari … God bless! Stopping by from Family Fun Friday. Great tips! Wow! I love meat patties, in fact my whole house does. I am so into this recipe, thanks for sharing Shari. Have a super blessed day! Wow so easy and I never thought of that. Way to go girl. Love it. Also I love the fresh look of your site. Blessings friend! This is brilliant! We raise and butcher our own cows, and almost always have a ton of hamburger in the freezer. But…I’m almost embarrassed to say… I still buy hamburger patties when we’re BBQing a lot in the summer. We are so busy with chores and farm work that time of year, so having to stop and make out hamburgers takes too long. Not anymore! I love the great instructions, and will be getting some parchment paper so I can make a big bunch of these before the grilling season gets here. 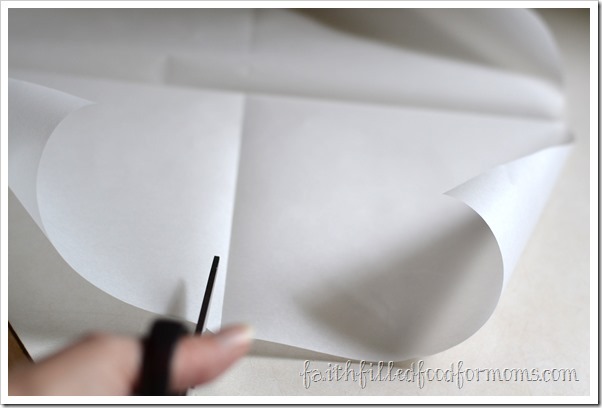 Here is another great idea Shari. I just spent a fortune last week on 10 patties. I also just bought some of those paper liners for something else. I will try this an save some money. I love that you season first. This is the perfect post for me right now. We just got a new freezer and I’m planning to stock it with things like this! This is a great time saver and a money saver! I always end up making more burgers than we need. 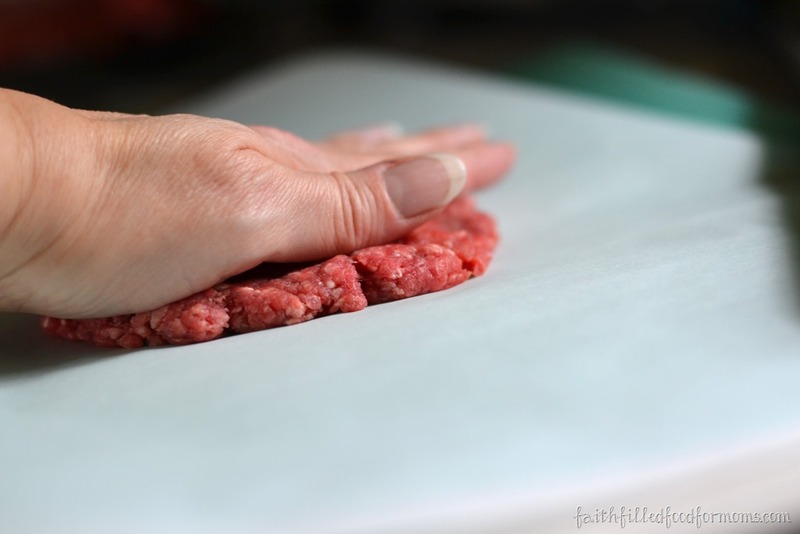 We just went to the store today and bought fresh meat patties for dinner – I’m cooking them as I type. I guess I could have saved us some cash by picking up some ground beef instead and making them myself. Maybe I’ll do that next week now I know how to freeze them! This is such a good idea. Thanks for the tips!